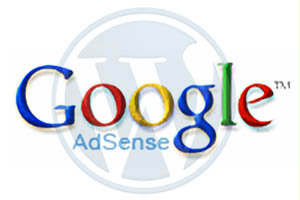 For those who visit this site to download the adsense sidebar widget for WordPress, I have some good news for you. I spent some hours to rewrite the widget and now release the code to public. This version offers the same functionality with the previous version which is displaying Google Adsense on the sidebar. However, it’s been known the previous version has compatibility problem with recent WordPress. If you’re a fan of simple widget, this one might also fit you. From Admin panel, click Plugins and find Amikelive Adsense Widget. Save the changes. You are now ready to go. This entry was posted in Application and tagged google adsense, Wordpress on June 7, 2010 by Tech Admin. Nice plug-in. However, I have noticed that one Adsense ad won’t display in my footer under ‘Sponsors’ despite the same working just fine on the top of the page. Also, when I open individual posts nothing displays under ‘sponsors’, but it does on every page. Any help? Is there a way to use this widget several times. I have added it two times but only the first one shows! thanks for your feedback. i hope i can immediately release the version that is compatible with most recent version of wordpress.